In the same direction as the return road from Bedugul, and it is not difficult to find the location of Taman Ayun Temple which is in line with Sangeh. Taman Ayun Temple is located in South Bali approximately 18km from Denpasar. Taman Ayun Temple founded by Raja Mengwi I Gusti Agung Putu in 1634 was a special temple for the ancestors of the King Mengwi Dynasty. 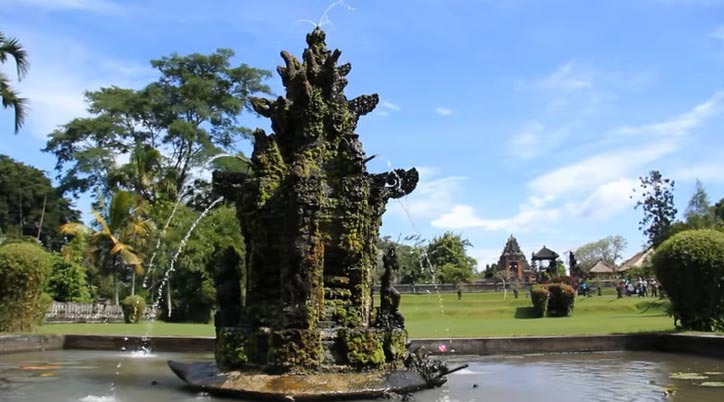 Taman Ayun Temple is indeed one of the icons of Bali tourism because of its beauty as its name means a temple in a beautiful park. This beautiful place, you will see a pond full of lotus flowers surrounding the temple, making the atmosphere look like a temple on the water. The main attraction of the temple is of course the beauty of Meru or pelinggih pura. The shrine building is shaped like a pagoda. The roof overlap can be up to eleven heights which in Bali is usually called meru, the roof material from palm fiber taken from palm trees. Meru is located in the most area of ​​the temple. There are a few meru here that soar that add to the beauty of the temple. Outside the temple there is a small bridge to the middle part of the temple. First you will pass by Candi Bentar which is the main gate. In the middle you will find a building resembling a hall called Wantilan which serves as a meeting place. There is also a Bale Kulkul or place of interest that is used as a communication tool. In addition there are also parks that are very beautifully arranged with a variety of verdant tropical plants that are very beautiful to look at. You will not be bored walking around this temple while enjoying a very comfortable and beautiful atmosphere.